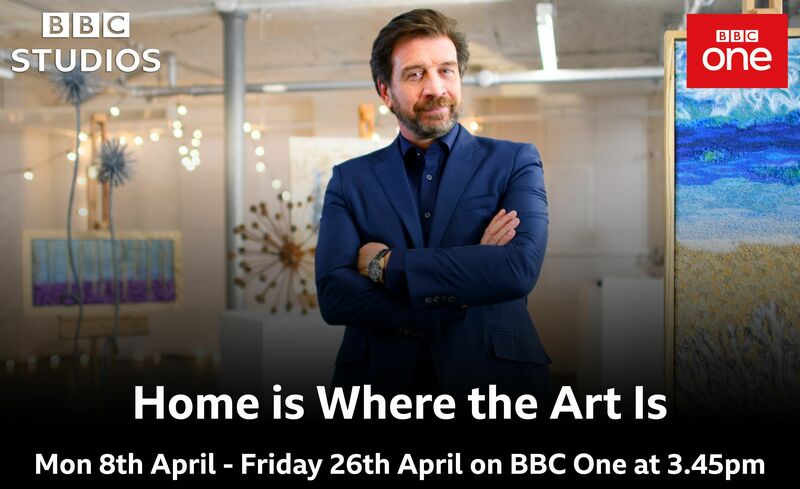 Recently Simon was asked by the BBC to take part in a new show called Home is Where the Art is, which airs on week day afternoons. 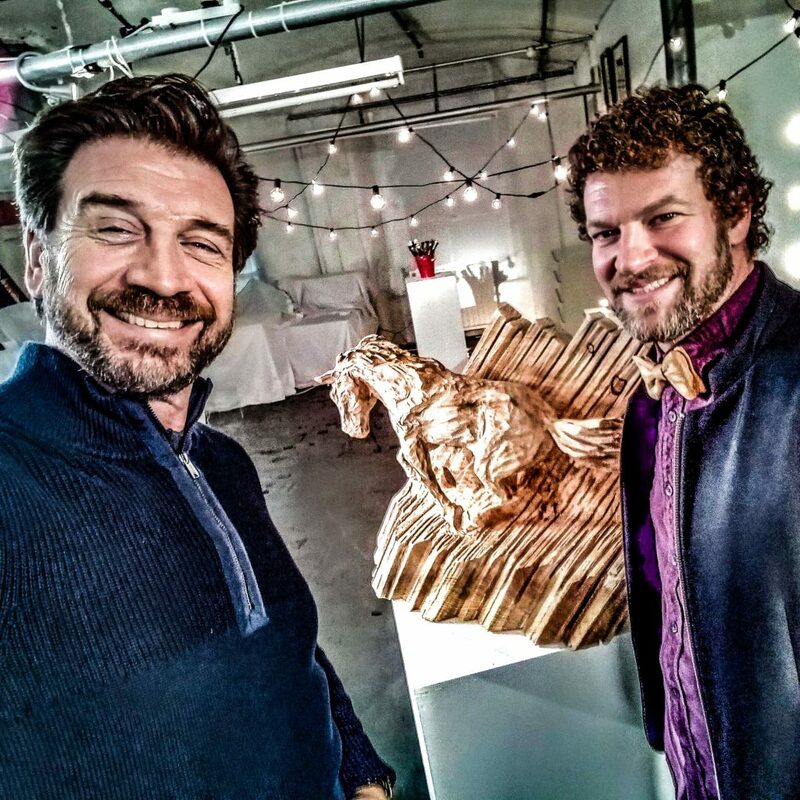 The show is a new format, and in each episode, three artists compete to win a commission from a mystery buyer. The three artists meet at the buyer’s house and receive a brief and a budget. 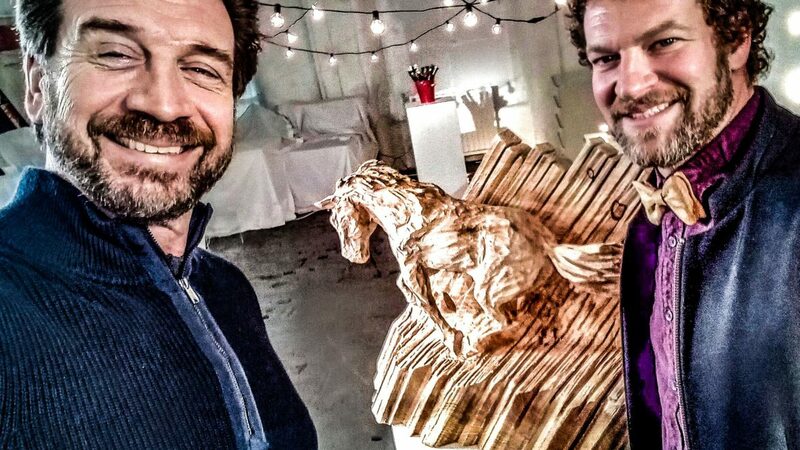 For the episode Simon was involved with, he was pitted against a stainless steel sculptor and an acrylic pet portrait painter. Three very different mediums! The brief was to create something that captured the spirit and form of the buyer’s beloved horse, ‘Dragon’. Simon was one of the two artists whose pitch was chosen to compete in the episode. 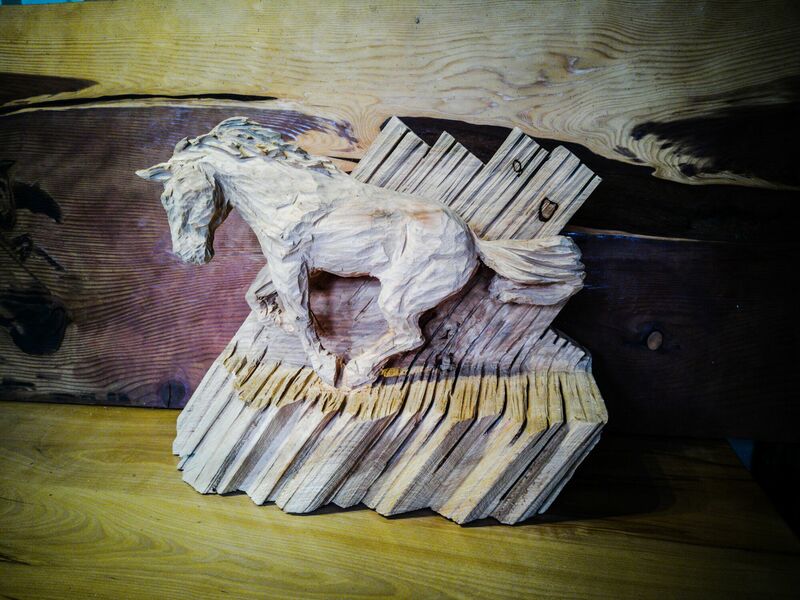 He took around eight hours to carve a representation of Dragon out of cedar as his entry, capturing not only his form but his movement and character. 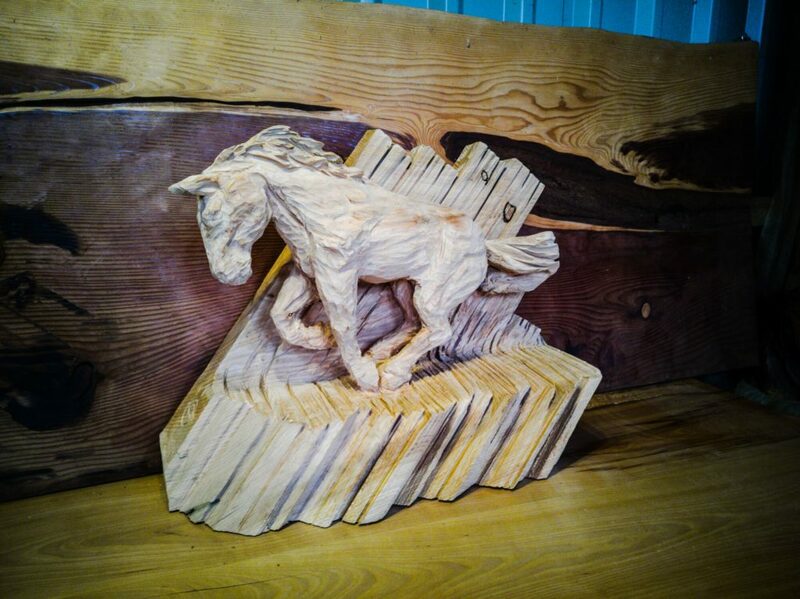 And not only is it a privilege to be invited to take part in something like this, but even the name of the horse has tied in with our ‘year of the dragon’ here at Simon O’ Rourke Tree Carving! If you would like a portrait of your pet, Simon is available at [email protected] to chat about your commission. This particular sculpture which features in Home Is Where the Art is today (April 12th 2019) is available for purchase. Please contact Simon on the address above if you are interested. I only went and won it, didn’t I? Well done to my fellow competitors. I’m having a blast out here!